if anything disruptive should occur. Win or lose we all know that the House is at stake. We needn't be reminded repeatedly. For CNN it is all about ratings, not keeping us informed. Have you guys seen the bomber's social media? He specifically attacked Anderson multiple times. 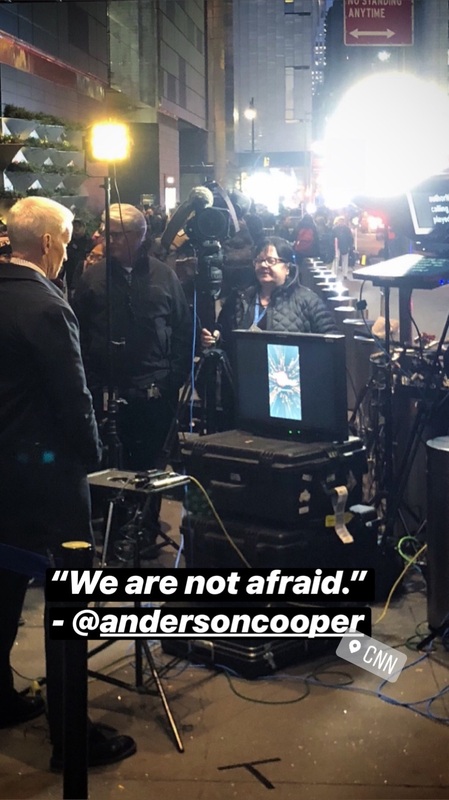 Even the town hall that Tapper conducted was blamed on Anderson. This is typical of Trump supporters. They ALL target Anderson the MOST. I have talked about this here before, but there has been a disinformation campaign against Anderson from Trump supporters on twitter for the last 2 years. Every day there is some fake news spread about Anderson. And no one challenges it. Anderson doesn't have fans who defend him and defuse these theories, unlike Maddow. And I don't know if his team realizes how serious it is. It is terrifying to me. I don't know why they are after Anderson. He is not even the liberal darling anymore. The qanon crazies are even worse. The kind of stuff they say about Anderson and Gloria ... I don't know what to do to help stop the madness. @Pragya: I have nothing to do with twitter. I never was big on social media. It can and will be used for the wrong purposes, as we have seen. Perhaps you should follow Anderson less on twitter and worry about the state of the world more, when you refer to "madness."